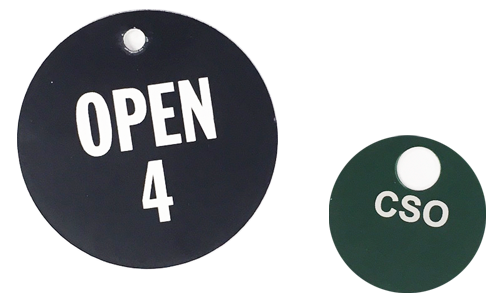 We’re taking the “overwhelming” factor out of your decision-making process by compiling a list of materials showing what your tag material options are. Once you know the basics like, where is it going, will it be indoor or outdoor, is it temporary or permanent, you’ll be ready to make your selection. Cardstock is a paper stock that is thicker and more durable than normal writing or printing paper. Cardstock allows the option for perforation (perforation gives you the ability to tear off a portion of the tag), and can be written on with pen or marker. It is by far your less expensive option, but with that comes restrictions to it’s use; it is very temporary, and can only be used indoors. Polyart is a flexible, water, scratch and tear resistant paper-like material. It is largely used for perforated tags as it is more durable than Cardstock and also economical. It can be written on with a pen or marker, but isn’t ideal for permanent outdoor applications as it is likely to yellow from the sun and has a tendency to fade over time. Grommet or eyelet options are also available to reinforce holes. ABS is a thermoplastic material, that holds it’s shape, has the option for over-laminate and can be written on with a permanent marker. ABS is a great option indoors, and is a better outdoor material than Polyart or Cardstock, but has the possibility to snap in very cold temperatures (like Canada ☹). Grommet or eyelet options are also available to reinforce holes. 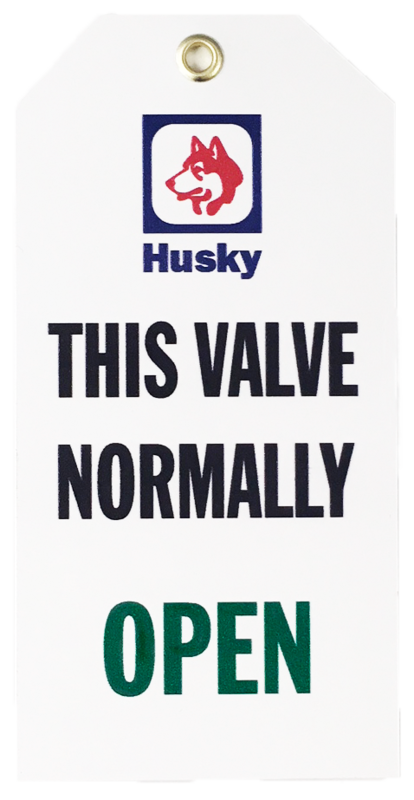 Banner Stock is a great option for tags, as it is tear proof, cost-effective, durable, flexible, can handle hot and cold weather, and can be written on with a pen or marker. Although Bannerstock is a great option, it cannot be perforated – leaving you to choose between Polyart or Cardstock for perforated applications. Grommet or eyelet options are also available to reinforce holes. Lamacoid is a lightweight non-conductive 2-ply and 3-ply plastic material for engraving, that comes in a variety of colours. Lamacoids are easily mounted with standard adhesives, and there are outdoor versions with uv stable properties available. Aluminum is a solid metal material, that is durable, lightweight and doesn’t rust or decompose. There are four types of printing options available, White Vinyl, Subsurface Print, Metalphoto or Laser Engraved. 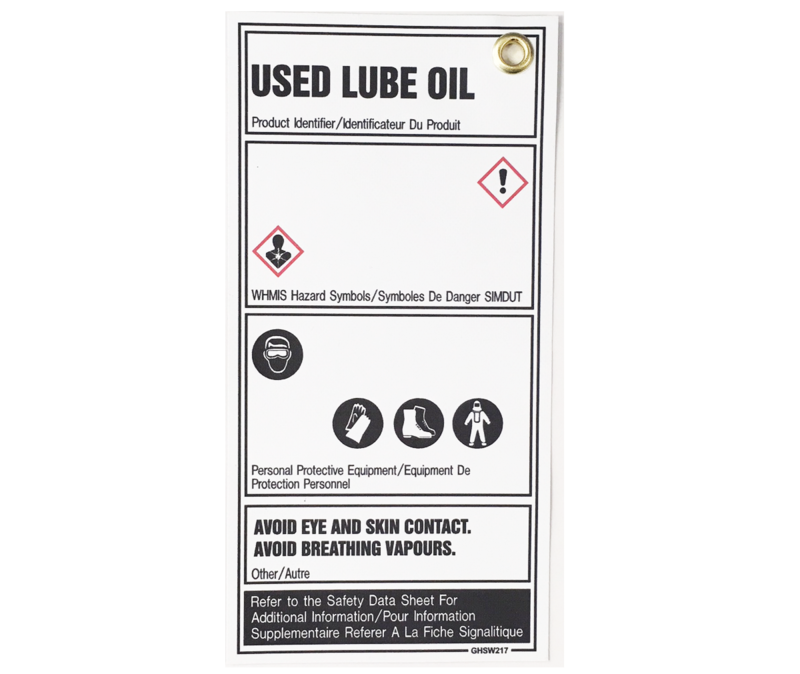 -White Vinyl Aluminum has an adhesive vinyl overlay allowing us to print in colour, print double sided if desired and the tags can be written on with a marker. -Subsurface print is an electrochemical process that changes the finish of the metal, leaving the option to only print in black or standard colours. Subsurface print is usually used for the purpose of being engraved, can be used for 10+ years (when printed in black), and can only be written on with an engraving pen. -Metalphoto is a photo-sensitive anodized aluminum used for applications where permanence, resolution, variable data or a combination of these characteristics is required. It is almost identical to Subsurfaced print, but is more effective and photo-sensitive. High resolution makes it possible for barcodes, QR codes or other symbology that may be required. 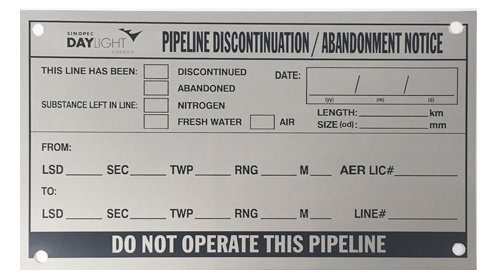 Popular Applications for Metalphoto: Nameplates, Labels, and Control Panels. Still feeling stuck? Regardless of the location you’ll be placing your tag, we’ve got a material that will work in both terms of practicality and functionality. Don’t hesitate to get in touch if you need a recommendation, or if you would like to place an order!